- New York, New York. Art Museum in New York City. 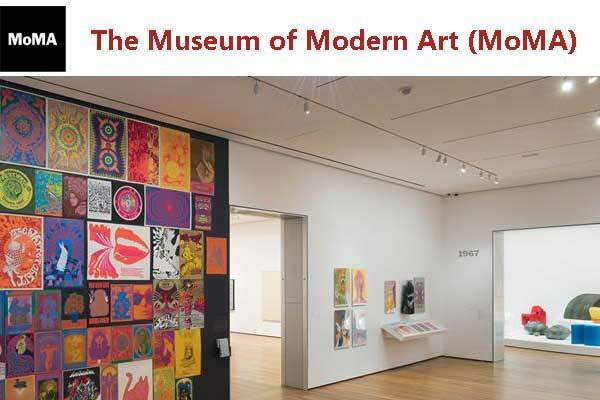 Museum of Modern Art is an art museum located in Manhattan in New York City. The Museum is open seven days a week. more details. Sunday : 10:30 a.m.—5:30 p.m.
Monday : 10:30 a.m.—5:30 p.m.
Tuesday : 10:30 a.m.—5:30 p.m.
Wednesday : 10:30 a.m.—5:30 p.m.
Thursday : 10:30 a.m.—5:30 p.m.
Friday : 10:30 a.m.—8:00 p.m.
Saturday : 10:30 a.m.—5:30 p.m.